Global technologies import exclusively Chinese construction plant & equipment. The firm’s main office location is House No J-550, Muhammad Ali Johar Town, Lahore, Pakistan. 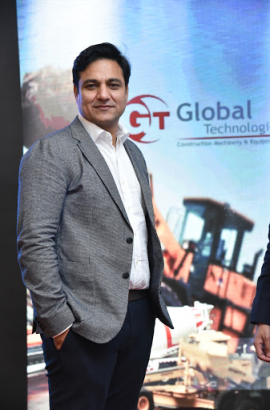 Global Technologies quality products/machines are first-rate and exclusive, and its target customers are construction companies in both private & government sectors. Global Technologies edge over the competitors is competitive pricing with assurance of best quality after sales service, unlike competitor’s offering. We plan to induct after sales personnel from china to work here in Pakistan with us as expats. By this fact, the firm hopes to attract new clients that value the artistry of developing Chinese brands in Pakistan. Since our machines are mostly from china, we consider ourselves improving our home Construction P&E Market. Global Technologies projected sales are approximately 200 to 300 machines/plants by every year. Global Technologies offer an exclusive site demonstration with our own purchased machines, for improvement we also offer fleet Rentals/leasing for full project which can help us to sell machines faster. Hard Work, Honesty, Dedication and True Commitment towards our work is the key to success. It gives me a great sense of satisfaction and pleasure to see and share the growth of our group in the face of highly competitive time through which Pakistan Construction Machinery sector is passing. Remembering that great companies are judged not by what they say, but by what they do. We should be passionate and accountable about putting our customer first and for delivering outstanding services with the highest of ethical standard. Integrity, Honesty, and Trustworthiness, while they may be hard to measure but these qualities are priceless and when it’s come to our customer they are having confidence in what we do and how we do it. In the end most important thing is that our believe in Allah. He is the one who controls everything and blessed the people who follow the Quran and Sunna. Everything we give to others comes back many times. Instead of giving shouting, Hatred, Criticism, and Curse lets built our wealth by giving love, respect, praise and blessing to everyone we see. The founder of these three companies is HAJI ABDUL REHMAN (Chairman). The person who is known as one of the genius in the field of construction machinery in Pakistan. 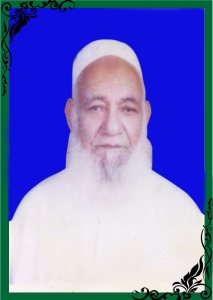 Through time of great experience HAJI ABDUL REHMAN the founder of these three companies has established itself for more than 35 years and setting the goals and standard by which others may judge. Global Technologies is Importer & Service provider in construction industry. 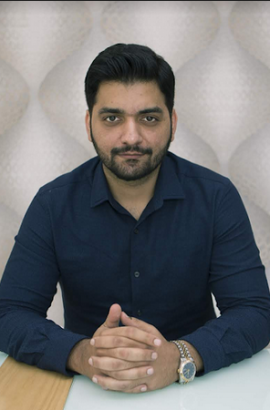 Global Technologies founder is Mr. Liaqat Ali (Chief Executive Officer). Global Technologies mission is to become a recognized importer of quality construction & plant equipment in Pakistan. The company guarantees maximum customer satisfaction and values friendly service including sales, after sales & rental services, through which customer retention and resale will be possible. Global Technologies vision is to be the leader in the Pakistan for supply of construction plant & equipment, rental and after sales service. We earn our customer’s enthusiasm through continuous improvement driven by the integrity and team work of our people. It gives me a great sense of satisfaction and pleasure to see and share of the growth of our group. In the face of highly competitive time through which Pakistan machinery sector is passing remembering the great companies are judged not by what they say but what they do. We should be passionate and accountable for putting our customers first and for delivering outstanding services with the highest of ethical standards.